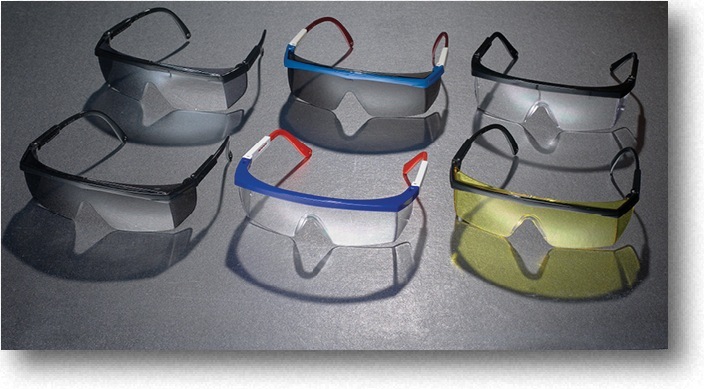 Mutual Marlin protective glasses pack full protection in a lightweight product, an amazing 1 oz. design. It has an integral lens construction with an adjustable side arm. The plastic wide angle brow plate provides overhead protection. Meets all ANSI standards.